Okieladybug's Scrap N' More: Cricut Tote Review - Cricut Tote Giveaway Winner! Most of y'all know I'm a little sneaky with giveaways and I don't always announce when I'm doing a giveaway but I will give little hints. 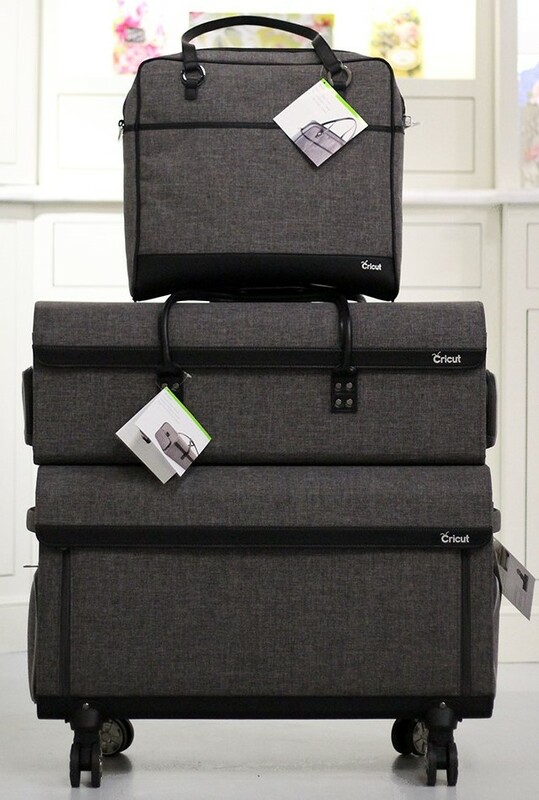 This time when I posted the link to the Cricut Totes Review - Okieladybug Style in Facebook groups I said "make sure you read the whole post" that way people would know to read and find out about the giveaway. I had to laugh at some of the responses I got about me being crazy for tossing my Explore in the tote off my porch and then tossing a few times around in the yard. I knew folks would think I was crazy but I wanted to give a TRUE TO LIFE test of the tote and how the machine would hold up during rough handling. I am pleased to say that the Explore is still working great and after a few drops of super glue to the dial it is back on the machine and fully functional, like it was never broken in the first place! Again I would advise that you put some tape on the dial and the doors to hold them in place if you feel your machine is going to get a rough handling. I had a few thousand views of my post and videos but not nearly that many entries, which is a good thing for me because I didn't have to print off, cut and fold a ton of entries to get a winner. In order to enter all that needed to be done was to answer 4 questions and email those to the email link given in the post. I didn't think that was too much to ask to win but maybe some people felt it was not worth the effort or they didn't want a chance to win a fabulous Cricut Tote or maybe they just didn't read the full post and see that there was a giveaway. What ever the reason it doesn't matter now because we have a winner!! My daughter came in and was thrilled to get to pull the name out of the bowl, although once she looked at the picture she said "Oh I look rough!". She had just gotten out of the shower and straightened her hair and was getting ready to get in bed and I didn't think she looked rough. At least she was clean and smelled good! 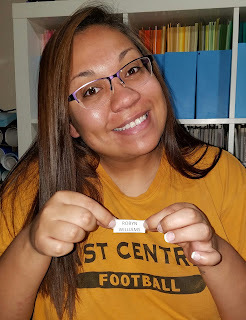 As you can see the winner she pulled is Robyn Williams and in the email Robyn answered the 3 questions correctly and included her answer of how she would use the tote. So congratulations to Robyn Williams for winning the Cricut Tote Giveaway!! OMG! I won....thank you so much!!!!! Tell your beautiful daughter she looks great❣️ I literally jumped off the couch and started screaming. Lol my poor husband was like "What is going on?" Or maybe their reason was like mine - I never take my Explore traveling, it has a place in my craft room, and someone else could use the totes a lot more than me. I LOVED your 'test' and review of the totes! Thanks for coming back to the blogging world - I love checking out your posts. Woo Hoooo ... Congrat Robyn. How exciting for you. Happy Dance time! Again, awesome review on the Circut tote Shirley. You went above and beyond to prove (or try to disprove?) that this tote is definitely well built and will protect it's Cricut cargo. BTW, your daughter does not look rough, not even a little bit. In fact, she looks beautiful, especially considering that she is fresh-faced right from the shower without any makeup on. Not many can look so nice right from the shower ... especially me!